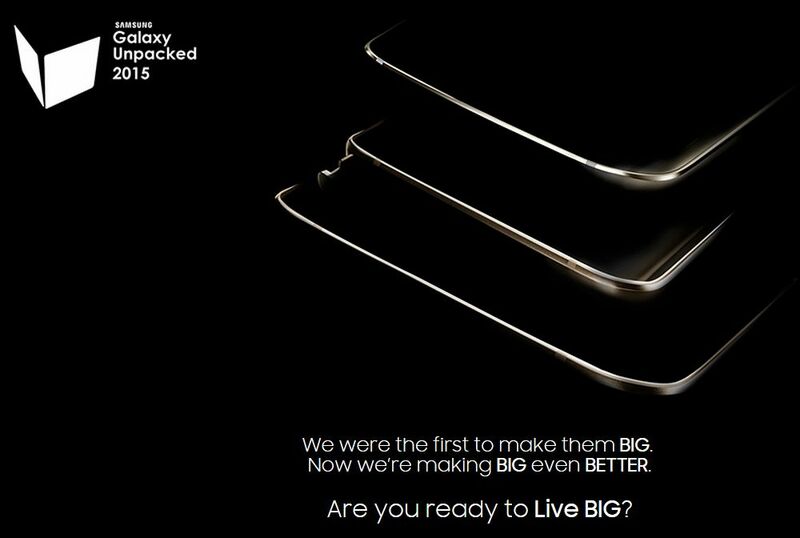 Samsung looks ready to break with tradition and unveil the newest member of the Galaxy Note phablet family weeks before the IFA trade show in Berlin. But what exactly will next week’s Unpacked event bring? The Galaxy Note 5 is a given, following multiple graphic exposes. Then there’s the S6 Edge Plus, acting as both a dual-curved, non-S Pen-capable sequel to last year’s Note Edge and super-sized S6 Edge spin-off. But Samsung may also planning to expand its Android tablet roster on August 13. No, we don’t mean the recently announced Galaxy Tab S2 8.0 and 9.7, but something else entirely. Possibly, an 8-inch or so curved model joining the Edge family. The Galaxy S6 Edge Plus, Note 5 and… something bigger, or better, or both. With a distinct curve of its own and, presumably, high-end specifications too. Hopefully, higher-end than the octa-core Exynos 5433 CPUs, 3GB RAM and 5,870/4,000 mAh batteries of the Tab S2 9.7/8.0.